Consider participating in our silent auction! Concert headliners include world-renowned reggae DJ Downbeat the Ruler, with special guest stars Brigadier Jerry, Jeremiah, Sister Nancy , Ranking Joe and Jah Eyes, plus many local musicians and surprise guests. Tickets will be $25.00 (general admission ) and $50 (reserved seats) and will include admission to the family oriented early show, as well as the late night reggae show. Kids and seniors are free. The early show will be emceed by Woodstock jazz artist and personality, Studio Stu. 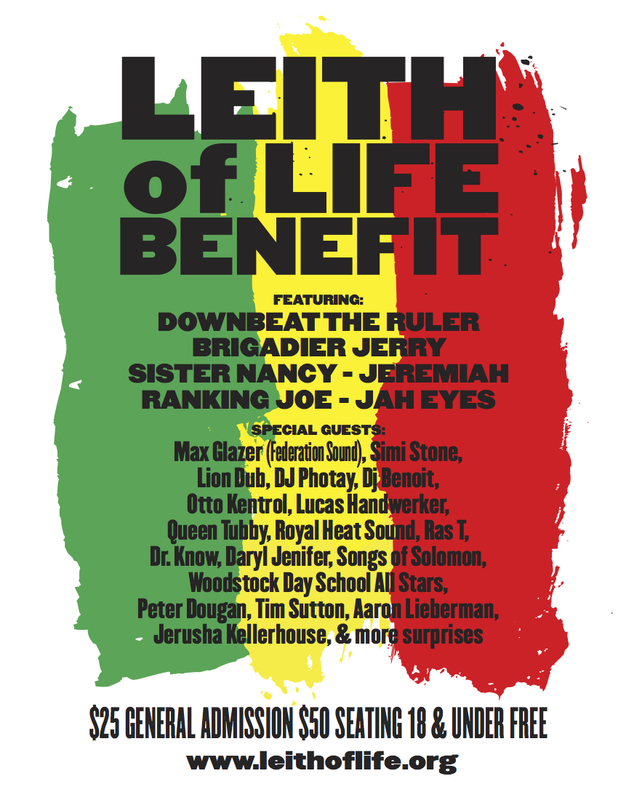 Leah Boss, Founder of Reggae Woodstock, will emcee the late show. A silent auction will also take place at this event. Please contact Gillian Cilibrasi for auction donations: gcilibrasi@gmail.com. Why are we doing this benefit? To celebrate and help a beloved member of the community. Leith has been dealing with cancer for about 18 months. 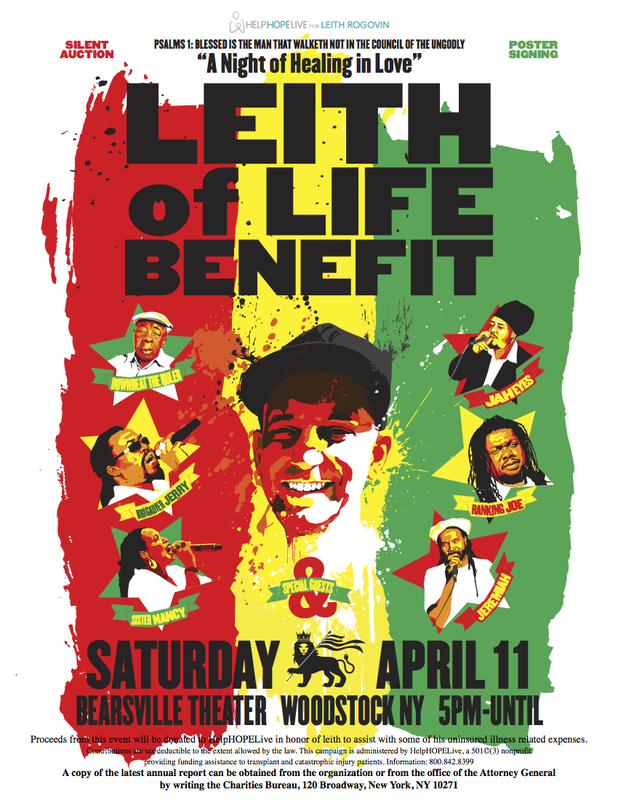 All monies raised at the benefit will provide Leith with assistance in paying medical expenses not covered by insurance. Thank you in advance for your generosity and all well wishes and healing energy sent to Leith.